Its been along time :) , sorry for that. Now in 2018 you can easily see that everything changes, back in a few years later most of the people not even know what blogging is. Either they don't even know how websites made eventually everything change technology grow so fast. 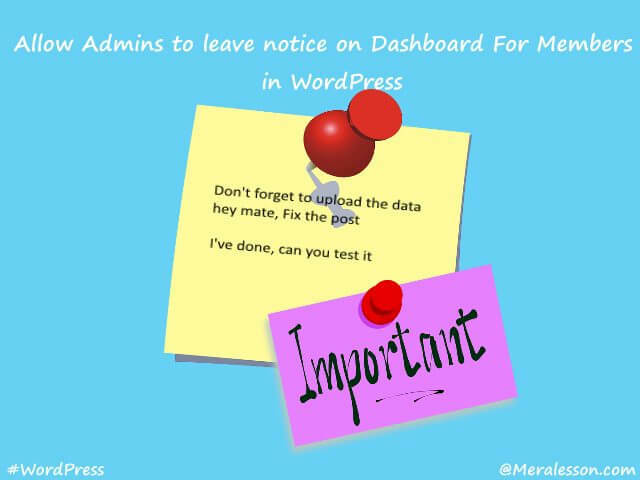 if you have more than one author or team member in your WordPress then you properly loved to add the dash notes feature which allow you to add leaving notices on the dashboard in WordPress. So when your team member logged in he or she will see note messages on the dashboard. If you are looking for a way to create a zip archive using PHP then you are in the right place. PHP already has the ZIP class which can help you to create and extract zip archive. It's very easy to use and understand all you need is the perfect guide to the PHP Zip archive. So in this PHP tutorial you will learn how to upload multiple images and create a zip archive using PHP. you can use this script for your projects or create a zipper for the archive. We will also show you how you can open Zip archive and display files using PHP. Do you know? you can increase your website traffic by adding the sitemap to Russian largest search engine website. 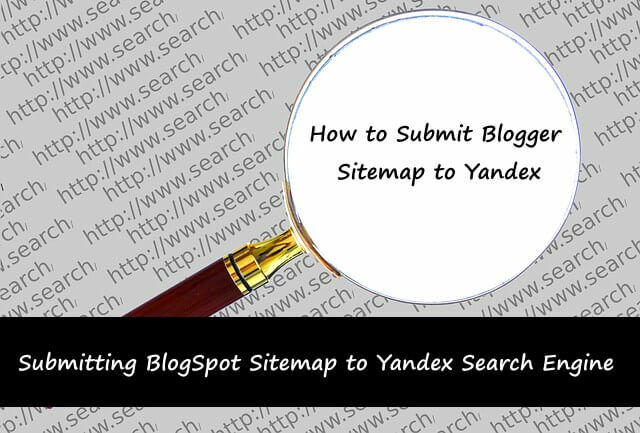 In the previous Blogger beginner tutorial we have shown you how you can submit blogger sitemap to Yandex. 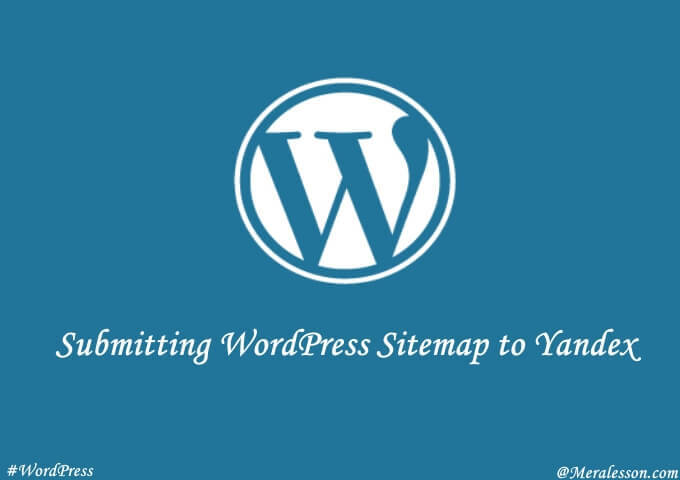 In this tutorial you will learn how to add your WordPress sitemap to Yandex. Yandex is one of the largest and popular search engine among the Russian and the 4th largest search engine in the world. Yandex is a multinational technology company that provides web services, such as Search engine, Maps, Email, and many other services Yandex were founded by Arkady Volozh, Arkady Borkovsky, Ilya Segalovich in 1997. There are many plugins that allow you to create a sitemap for your WordPress site. Yoast SEO is one of the best plugin that can handle your site SEO and also create a sitemap for your site. you can also so use other sitemap plugins if you want, but we recommend you to use Yoast SEO. First of all you need to create Yandex Webmaster account. After you created the account, click on plus button and add your website address. 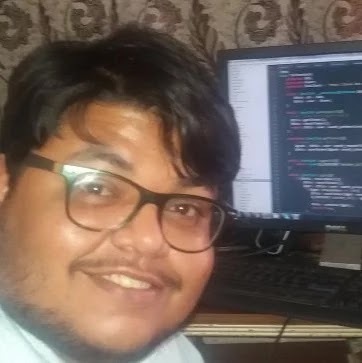 Now you need to copy the verification code. So you need to copy the meta tag verification code under the first tab. 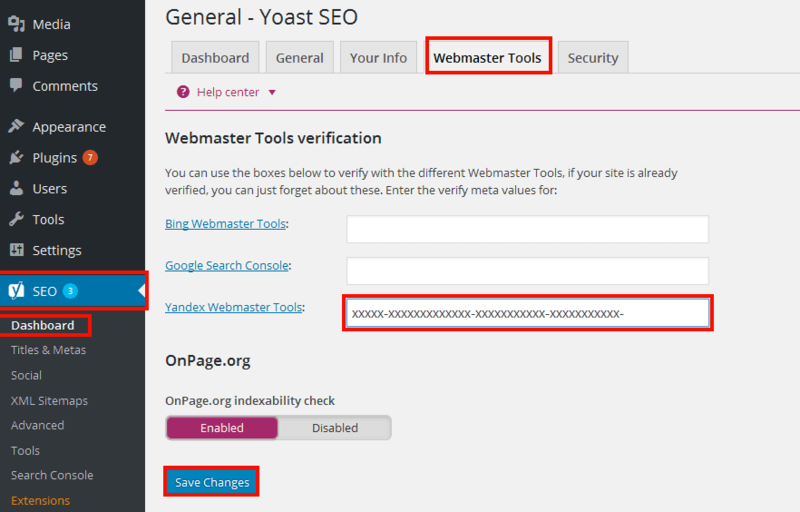 Once you get the verification code, then log in to your WordPress website and under the SEO tab (Yoast Menu). Click on webmaster tools, paste the verification code in the Yandex Webmaster Tools field and click on save changes. Now you have successfully verified your website, and you can now submit the sitemap to Yandex. So log in to your Yandex Webmaster account and go to Indexing Settings >> Sitemap files and submit your blog sitemap. Congratulations! you successfully submitted the sitemap to Yandex. It will take up to 48 hours to start indexing your site. if you find this article helpful then like and follow us on Twitter, Facebook to get latest updates from us. 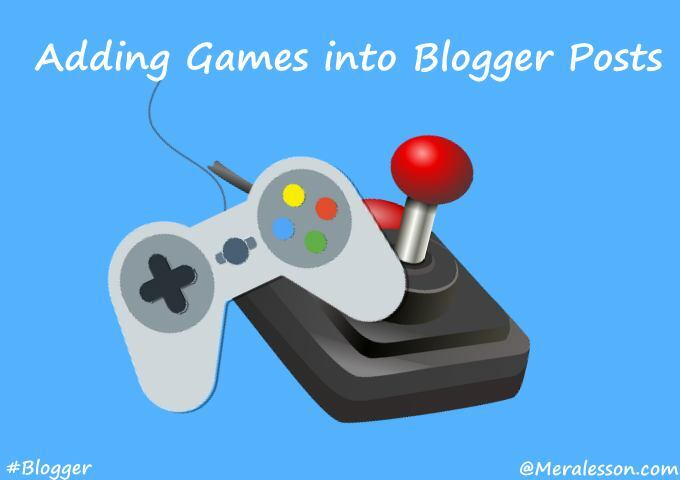 If you want to add games in your Blogger and don't how to do that or from where you can embed games then this article is for you. In this Blogger beginner tutorial you will learn how to add games in blogger blog which very easy to add. There are many online free game websites that provides embed code for games and you can use that code to add games. 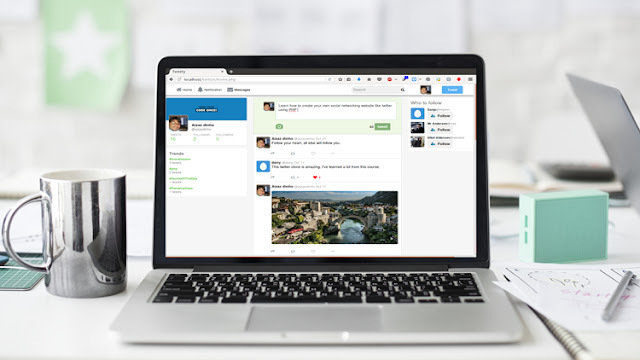 It's a very useful way to add extra games section to your blogger and it help you to increase user engagement and encourage your users to stay more your blog. Like as I said above, there are many free online websites where you can get online free games embed codes. The one of the websites that allow users to embed games is Kongregate. So to you, go to Kongregate and search for your games that you want to add into your website or you can also search google for free games with embed codes. After you are done, you need to copy the game embed code which allows you to display games in your blog. 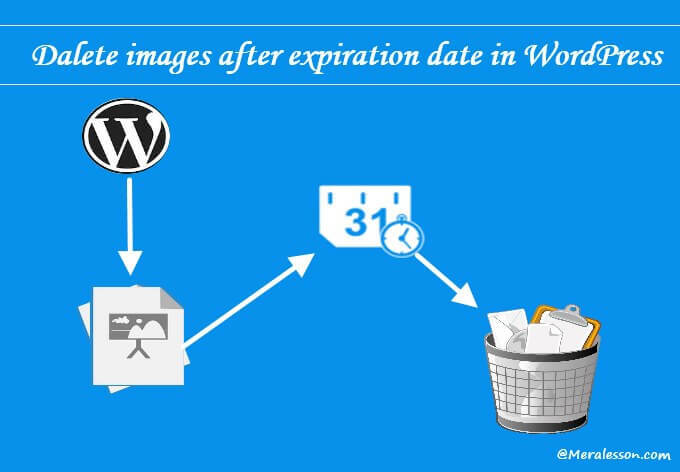 Once you have copied the embed code, then you need to go to your blogger blog and create a new post or edit an old one. On the post editor, click on HTML view and paste the embed code and update or publish the post. 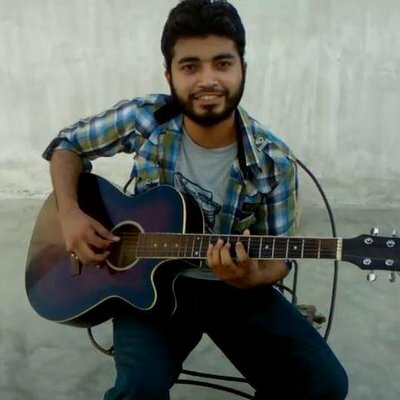 Now you have successfully added the game in your Blogger blog. If you want to change the size of the game screen, then add width and height to the embed code. We hope this tutorial may help you to add games in your Blogger posts. If you learned from this article then make sure to like and follow us on Twitter, Facebook to get latest updates from us. Adding the Favicon for WordPress blog is very easy in few seconds you can add the Favicon to your WordPress site. In the previous blogger beginner tutorial we have shown you how you can add the Favicon for BlogSpot. In this WordPress tutorial you will learn how to add Favicon to your WordPress site. Which helps you to increase your brand recognition and trust. So we will cover both methods to add the Favicon. The Favicon is an icon that helps your users to identify your website which displayed in the address bar of a browser. 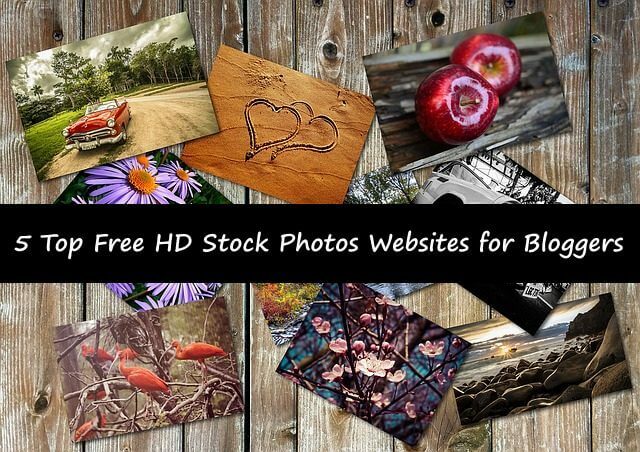 You man seen popular websites icon which helps its users to recognize your site. To add the Favicon icon from your WordPrss panel the first thing you need to do is go to your WordPress admin panel and click on Appearance tab and then customize. On that page you will see many options to customize your site, click on Site Identity option and then you need to upload your site icon to create the Favicon. So Once you have activated the plugin, Click on new Xt-Favicon tab and on the plugin settings page you can upload the favicon for your WordPress site. That’s it, so this is you can add the Favicon in your WordPress. If like this tutorial then make sure to like and follow us on Twitter, Facebook to get latest updates from us. If you want to add favicon to your blogger blog and you don't know how to add in blogger blog then you are in the right place in this lesson we will teach you How to Add Favicon in Blogger Blog. First of all we have to read some basic information about "Favicon", Favicon which also called shortcut icon, website icon URL icon etc.. The favicon is mostly displayed on the web browser title bar and on some browsers it shows in the address bar, its like identity of your website favicon is very helpful to get user attention.